Former FC Barcelona Coach Fires Dig At Real Madrid! Real Madrid and FC Barcelona are two of the biggest football clubs in Europe and the rivalry they share on the pitch goes to off the pitch as well. Manchester City coach Pep Guardiola, who had coached FC Barcelona earlier, had, in January, said that Bayern Munich, FC Barcelona and Juventus were three of the best clubs in the last decade because they had won titles consistently. However, the comment did not go well with Real Madrid’s supporters and their coach Santiago Solari had accused Guardiola of deliberately snubbing Real Madrid’s name. Manchester City host Chelsea at Etihad in their next English Premier League clash. Pep Guardiola’s side is at the top of the English Premier League points table and the former FC Barceloan coach will be looking to add pressure on Liverpool with a victory over the Blues. Meanwhile, Real Madrid face arch-rivals and neighbours Atletico Madrid in their next match as they look to continue their fine run of form. A victory will help Real Madrid leapfrog Simeoni’s side and go to second in the points table and while a defeat will lead to Atletico going 5 points clear of Real Madrid at second. There is no denying that Real Madrid have been one of the best sides in Europe in recent years. 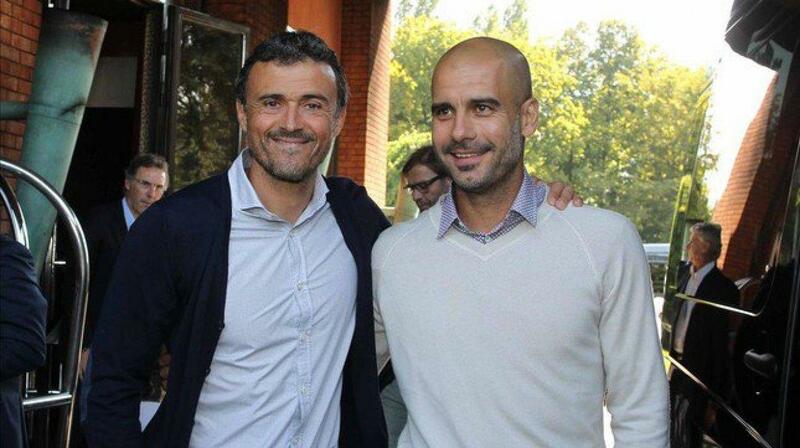 The team won Champions League for three consecutive years and it is something Pep Guardiola has not achieved. However, Real Madrid have not been as dominant as that in La Liga and falls behind those three aforementioned clubs when it comes to league titles. Solari and Isco: A never-ending Cold War!